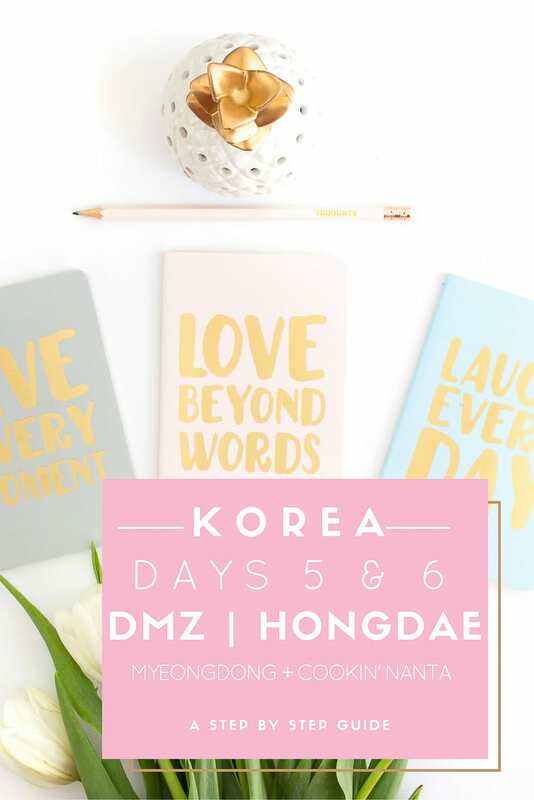 Days 5 & 6 of our Korea Travelogue was pretty relaxed & effortless as we were literally traveling around the Myeongdong area & joined the DMZ Tour. I was down with a bad cold and hence rested in our apartment the entire morning. 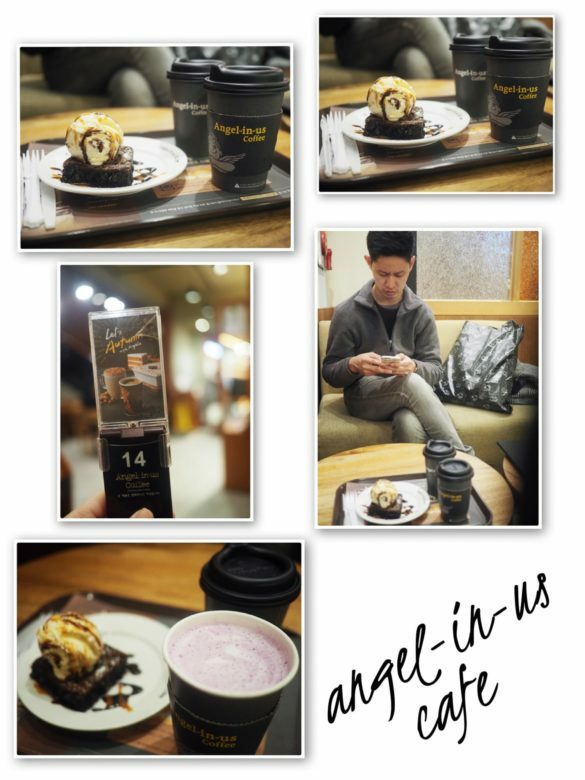 Weather was not so cold making it feasible for us to walk along the streets of Myeongdong. The streets of Myeongdong was bustling with mobile stalls selling wares and Korean Street Snacks. The variety of the snacks available pale in comparison with those offered at the Night Markets in Taiwan and not all of them looked appetizing for our Chinese palate. 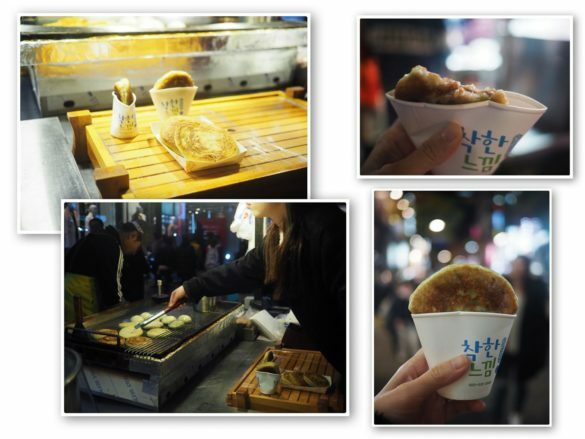 Sweet Korean Pancake / Hotteok (호떡) – nothing fanciful… I would prefer the Tapioca Pancakes sold in Singapore Pasar Malam (Night Market). Pomegranate Juice – The most expensive juice ever tasted. Served in transparent plastic packets with a straw poked into it – ideal for Halloween when you can be perceived to be drinking blood packets. LOL. Cheese Shrimp Roll (5,000won) – Not bad. Grilled Scallops with Cheese – Looks gimmicky but taste wise is actually pretty lackluster. The buttery taste is lacking. 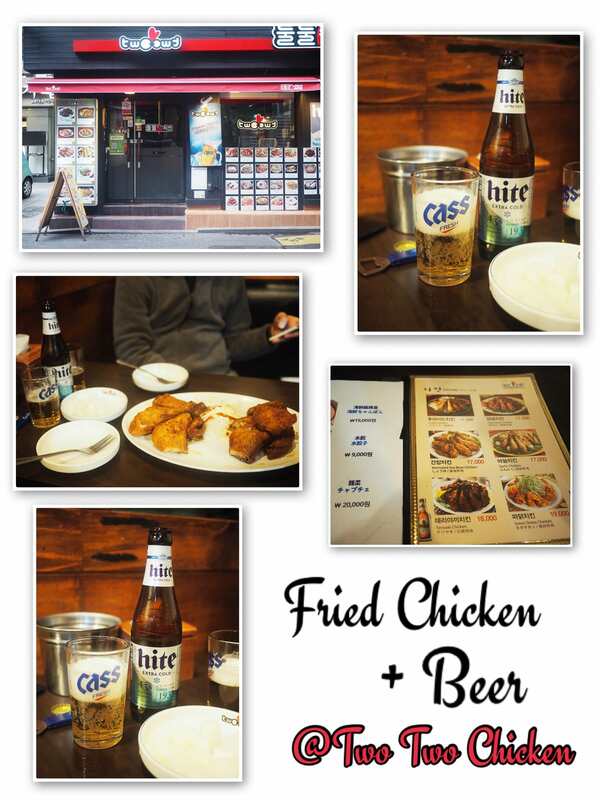 Next item on my Korean Bucket List is to have Fried Chicken with Beer like the romantic Korean Drama shows. Hence that brought us to Two Two Chicken. 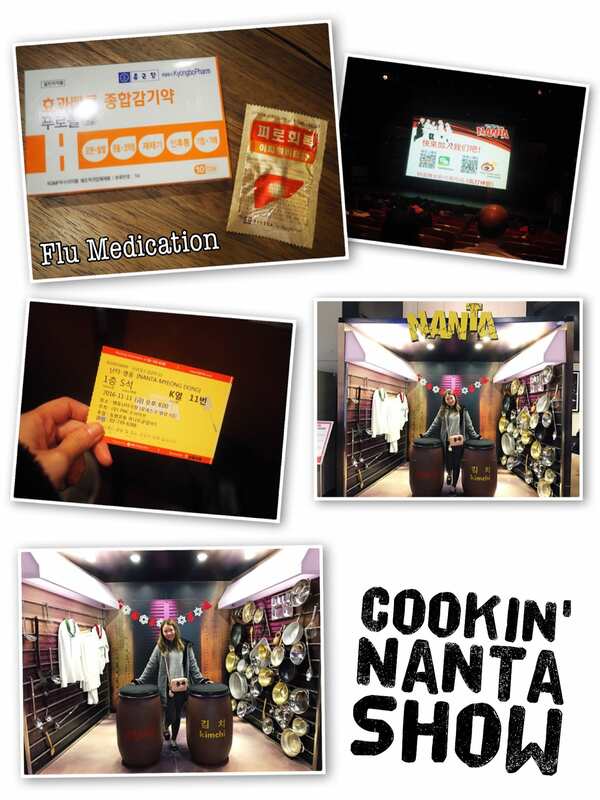 The next highlight of our Korea Trip has got to be watching the Cookin’ Nanta Show. The Cookin’ Nanta Show is a musical that incorporates acrobatics, magic tricks performed with a great sense of humor. There is little verbal dialogue throughout the musical and the spoken words are mostly in English to suit the audience. We got up bright and early for the DMZ Tour. We booked our Tour in advance via Tour DMZ & we were to confirm the tour 48 hours prior to the scheduled tour. However the hubs forgot to confirm the tour and realized it only on the tour day itself. 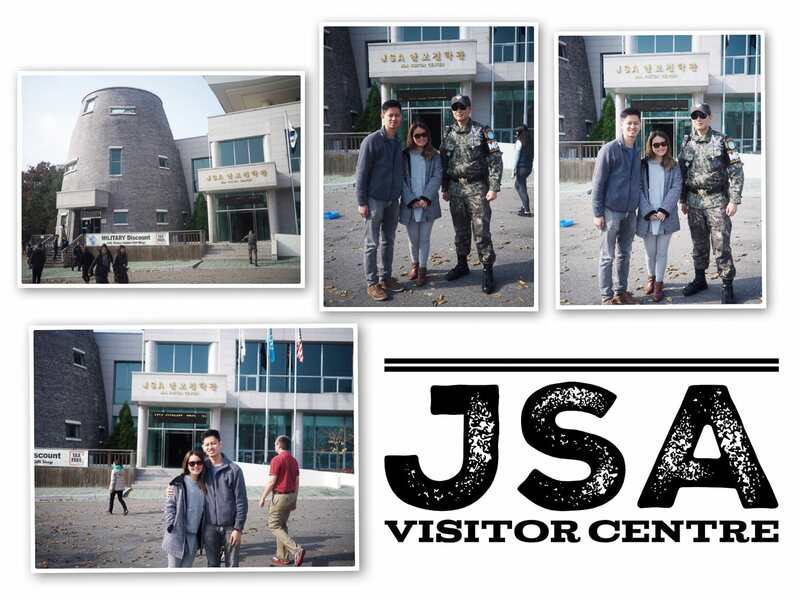 Hence we were in a frantic state that morning calling up the tour agency to confirm the tour and was relieved that we can still join the tour & hence we cabbed down to the meeting point for the DMZ Tour. Our meeting point was at Hotel President, which was a stone throw away from our apartment. The Military Demarcation Line (MDL) is surrounded by the Demilitarized Zone (DMZ) under the provisions of the Armistice (cease-fire) Agreement signed on July, 1953. The MDL runs 155miles and separates the South and the North. Southern and Northern boundaries of the DMZ are located 2km apart from the MDL. The Demilitarised Zone (DMZ) consists of the area between Southern & Northern boundaries of the DMZ. It was established to serve as a buffer zone to prevent any provacative action & collision between South & North of Korea. Hence strict guidelines must be adhered at all times by visitors like ourselves when we were near the DMZ, such as dressing and ban of photography at certain points of the visit. To me, the highlight of the tour was the Imjigak Park where we get to see remnants of the locomotive and railway track. 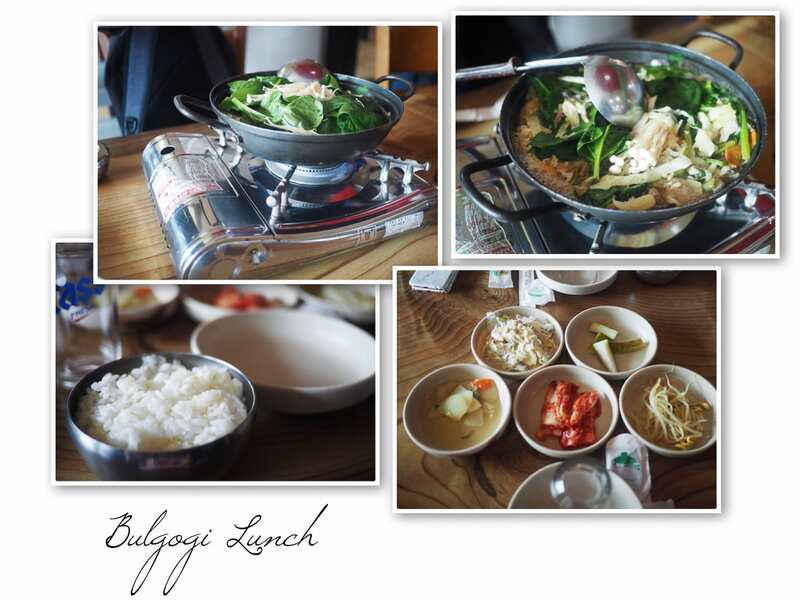 The Bulgogi lunch tasted superb too! 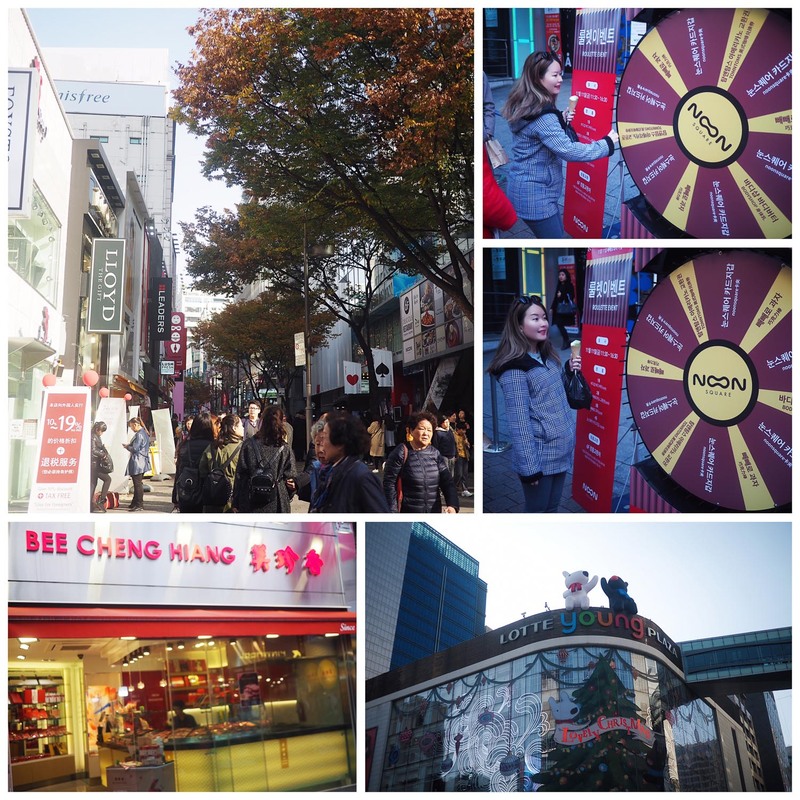 After the DMZ Tour, we stopped by Hongdae for some shopping and café hopping. Hongdae is a neighborhood known for its youthful vibrance. The place was lined up with fashion shops, cafés, clubs, art markets & eateries; making it a popular hang-out place for local youth. The Thanks Nature Café is a Sheep-themed café whereby you can enjoy desserts such as Bingsu and Waffles & have close contact with real sheep at the same time. The food tasted so-so as the Waffles ain’t cripsy & bingsu didn’t taste fine enough. 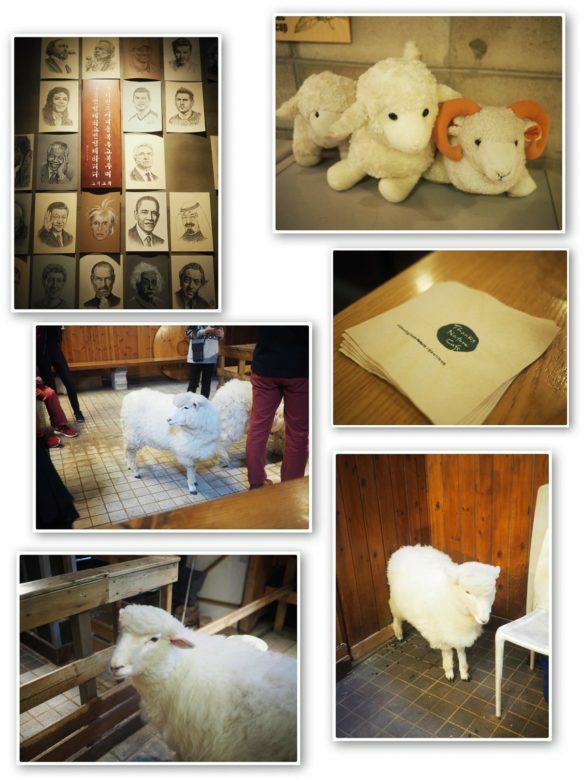 However, we have to give some plus points to the café for it’s relaxing ambience and being able to interact with real sheep in the midst of Hongdae’s shopping street. 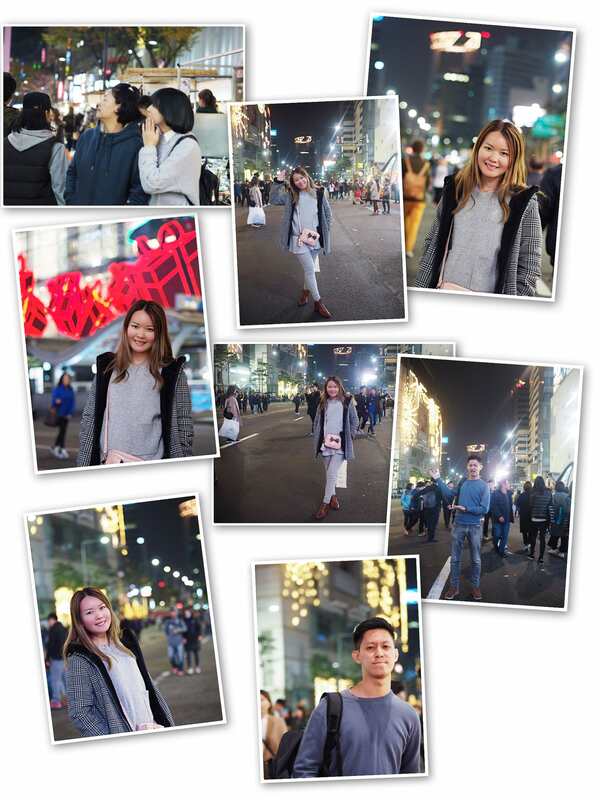 After visiting Hongdae, we intended to visit the Namsan Tower via the City Hall Subway Station but realised that the entire area was congested by protestors. We were shocked to see over 12,000 protestors holding a candlelight vigil near City Hall with signs reading “Who’s the Real President?” & “Park Geun-hye, step down”. We spent over 2 hours trying to wriggle out of the crowd & thank God we managed escape unscathed. We learnt that what we witnessed earlier was the most massive Korean protest in decades. This makes us even more thankful that the Singaporean government has done an excellent job in preventing such protests / riots from occurring as the tourism industry & economy will suffer. 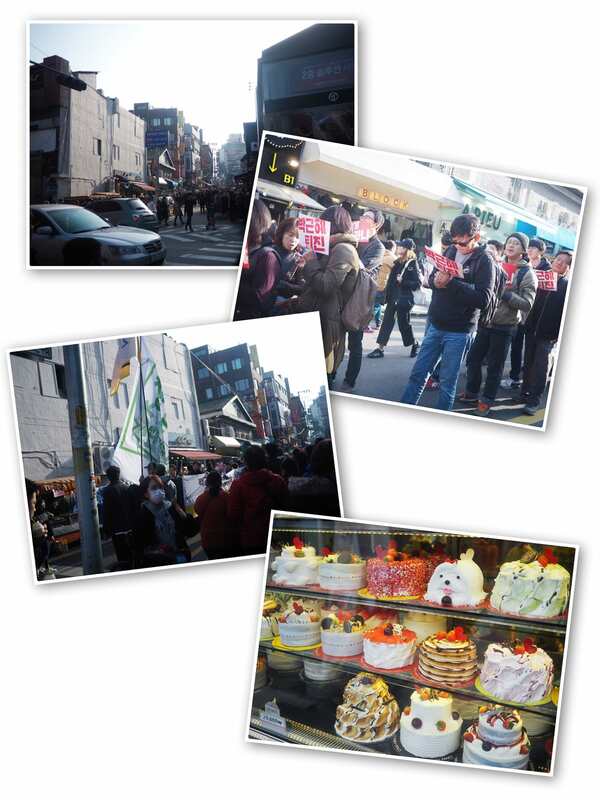 Some protestors also marched on the streets of Myeongdong on a smaller scale and the roads were all blocked as a result. Watched the video and it made me miss Korea. I can’t believe that you tried so many spicy food. I love only certain Korean food, but some I don’t even like how it taste. Great travel photos! You are so amazing and impressive with all of the adventures you share. This food is unlike anything I’ve seen and so interesting. I love how you shared it all in such detail and it makes me definitely want to try it all for myself ! Also . The show sounds like so much fun! How cute is the sheep themed cafe?! I actually really want to wander through korean shops because they always have the cutest things in them! Looks like you’ve seriously had an amazing trip and sorry to hear you felt a little under the weather during it! After seeing this post i definitely want to travel to Korea, one of my best friends is Korean and i have tried some Korean foods but not the ones you’ve posted yet. I’m definitely looking forward to travelling there! Wow amazing trip babe! It looks like you had an amazing trip 🙂 I need to plan a new travel soon I would love to visit Korea! Love the video. This food is unlike anything I’ve seen, I need to try it! This trip looks so fun!! thanks for sharing such a wonderful photos and an amazing guide! 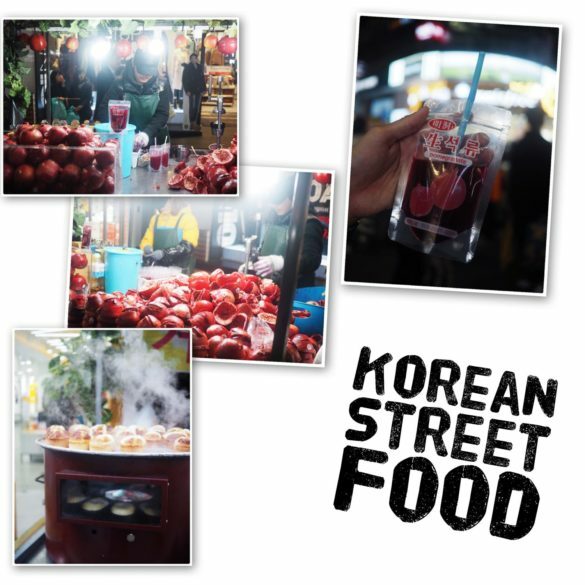 omg, Korean street food is my life goal (from watching K drama of course haha). I’m so jealous you got to experience it. I’d love to try the fried chicken and drinking soju. I know you said it’s drier than KFC but I still need to try it so I can say that I’ve had it lol. This looks like so much fun! I love how you styled the whole post with these pictures! So much food on this trip Aldora! I imagine you have such a great appetite! The DMZ looks really interesting and very solemn at the same time. Kinda reminded me of concentration camps. I can’t believe there is a real sheep in the cafe and they look so wooly!! OMG Korean street food is the best!! Need to try that ice cream and really expensive Pom juice, lol. 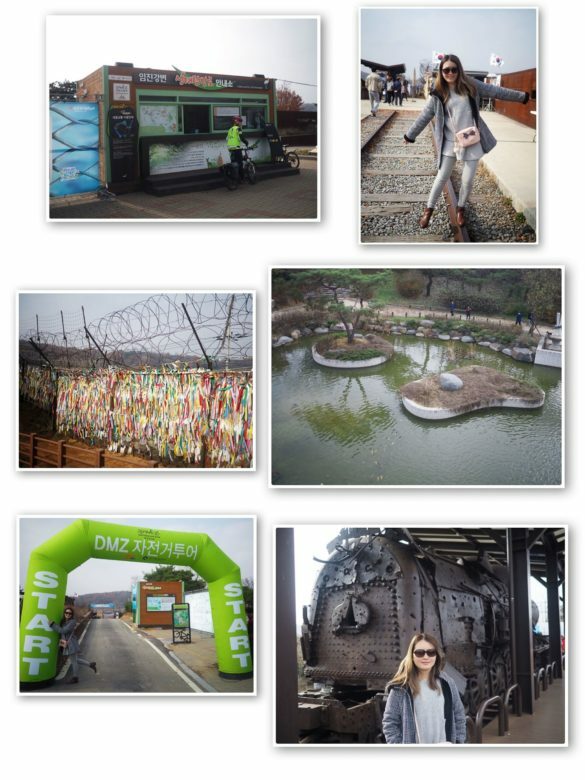 I so want to visit the DMZ too, even though it’s kind of scary with the North and South all split up. Glad you had fun Aldora! Great post! I have spent a lot of time reading books about North Korea and Korean culture in general is something I have been very interested in! Loved this post. 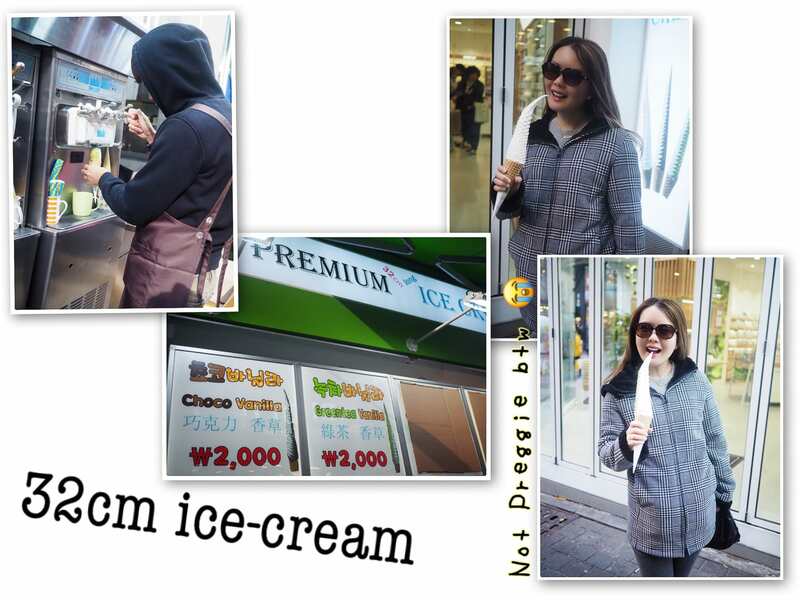 that 32 cm ice cream is to die for! thanks for sharing your memories with us! Oh no why did you get flu medication?! Did you get sick during your trip? If you did lucky you that you still were able to do all of these fun things. Your Asian trip has been so fun to follow, and I love seeing the food, culture, everything! The only asian country I have been in is Thailand but I really want to visit korea, japan, china and Singapore as well. See korean food pictures I’m already hungry haha. Oh ya, you guys went during the biggest protests ever. Anyway, OMG all the food looks so good! I love street food in Korea. You guys really went everywhere! You didn’t even go for long though! 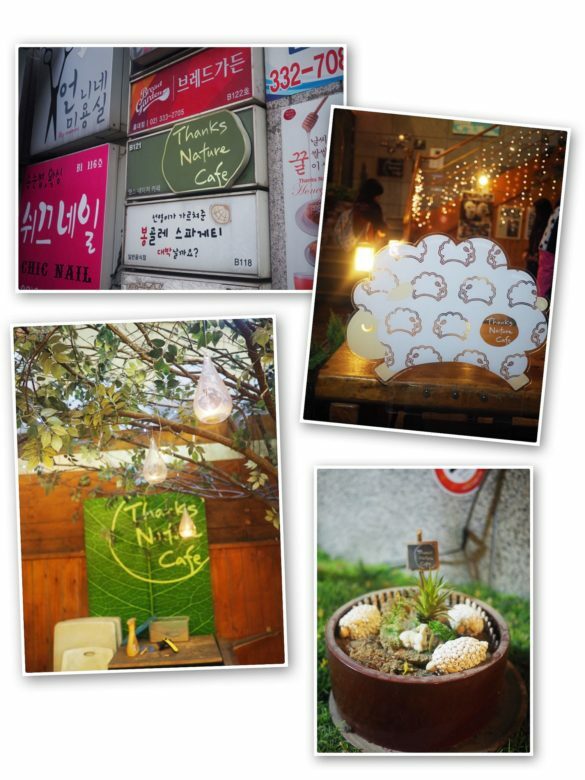 I think I have to visit Hongdae! 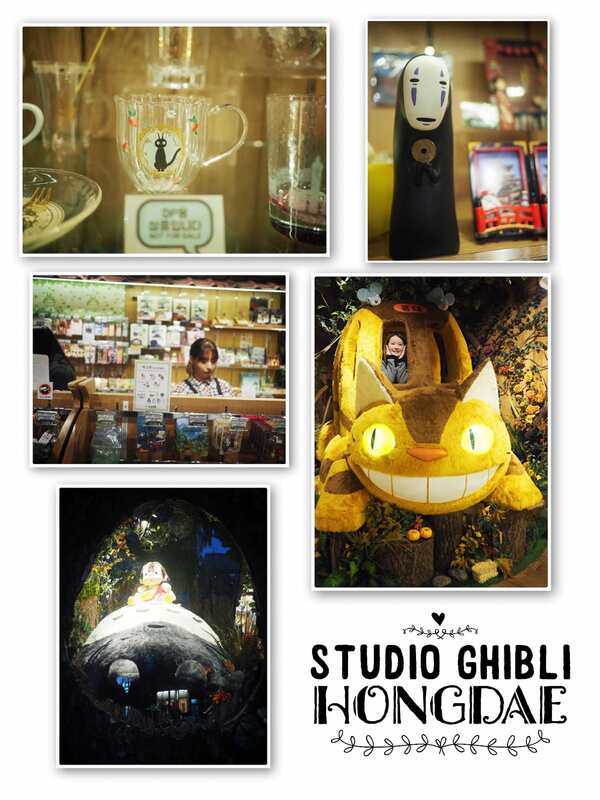 They have so many cute shops there! I also didn’t know there’s even a thing called a sheep cafe. Lol. I love readings your travels around Korea. So inspiring and makes me wanna book a ticket to Korea. Now going to korean bbq to satisfy my cravings. I always love your travel post! Also, street food is the absolute best! I always love that your post are so honest and no I’ve never experienced a riot/protest ever. I can imagine its probably unexpected and unnerving depending on what is going on. I hope you have a great rest of the week beautiful! My favorite travel blogger! The food looks amazing! 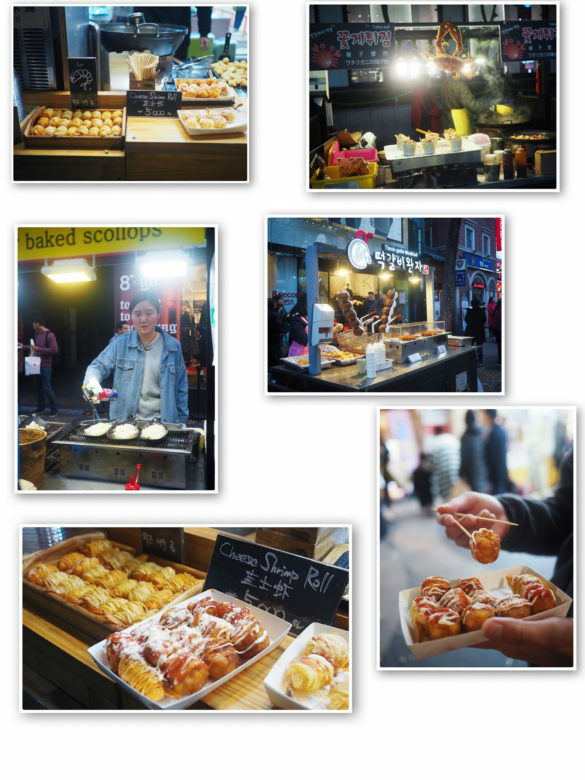 I love street food, so I would especially want to try that! I love how your posts are always detailed with complete itinerarys. Korea seems like such an amazing place and I’m dying to visit. One of my best friends when I was a kid was from Korea and his mom always made the BEST meals ever (to this day). I loved your vlog from your visit as well. That ice cream was just crazy. 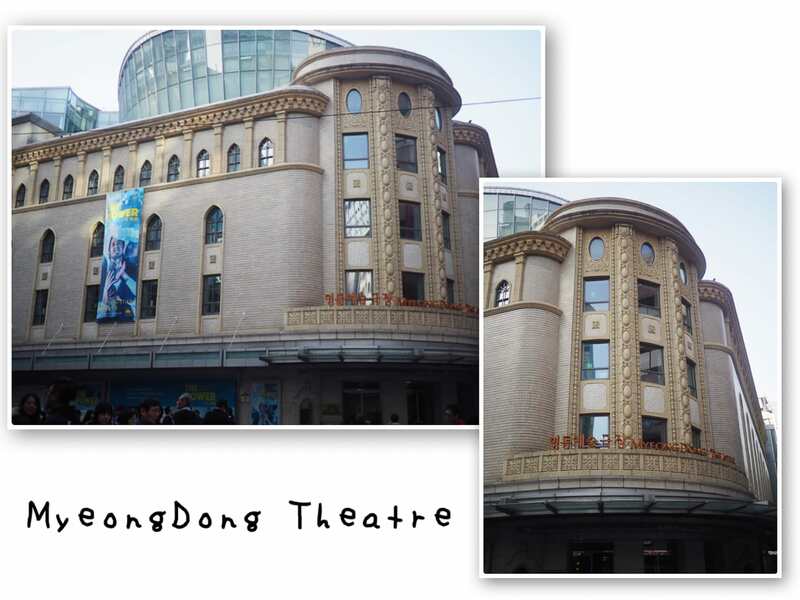 There’s something about Korean culture that really captures my interest and I totally need to go there soon. 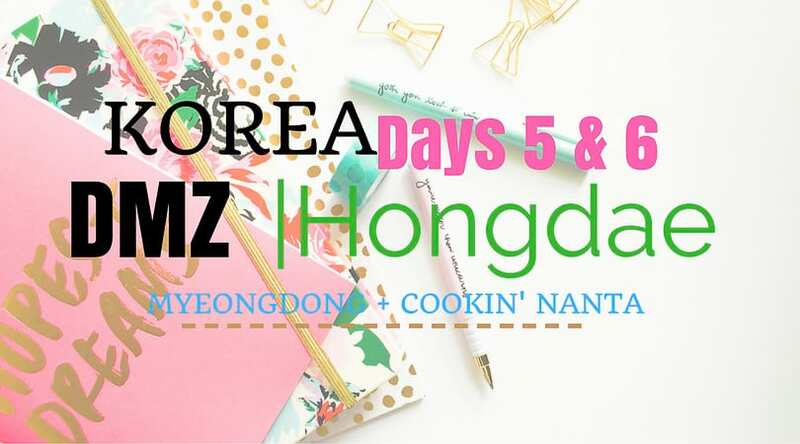 Hi Aldora, after reading the post and watching the vlog it was so easy to fall for Korea. I MUST definitely would love to visit that part of the world soon. 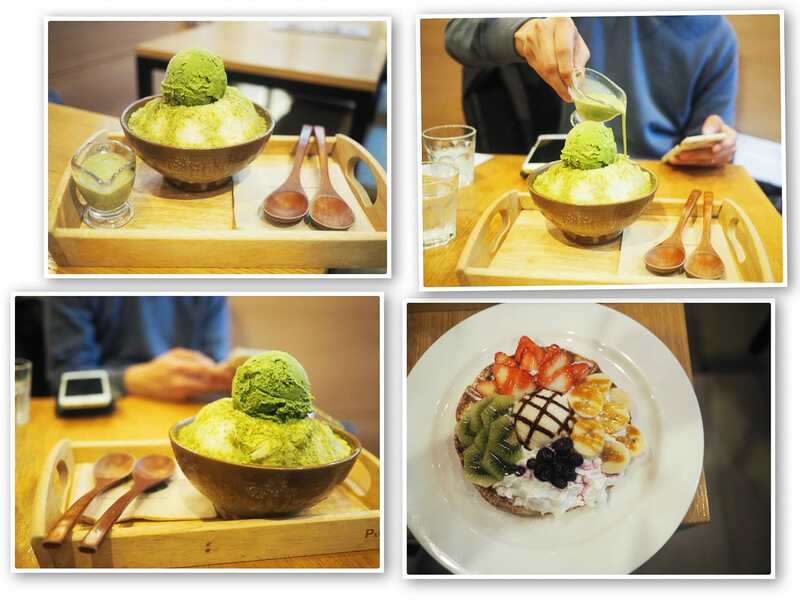 It was very inspiring and the desserts at the Nature Cafe looked irresistible. Your travel posts are so interesting to read!! I can’t wait to travel more in 2017 too! Usually I’m super skeptics about eating on the street but those dishes look so yummy that I would definitely make an exception! So cool! One of my favorite things about traveling is the food! I love trying new things, I’m such a foodie! lol You got to try some cool and unique eating spots, the Two Two Chicken place sounds really cool! You are making me so hungry I need to grab a snack! I love Korean food, especially spicy rice cakes so I am so intrigued by all your eats! And I’m dying to play with a fluffy lamb- how precious! This is so cool! I really want to visit Korea someday. Thanks for sharing! The food looks and sounds so interesting and delish, too! 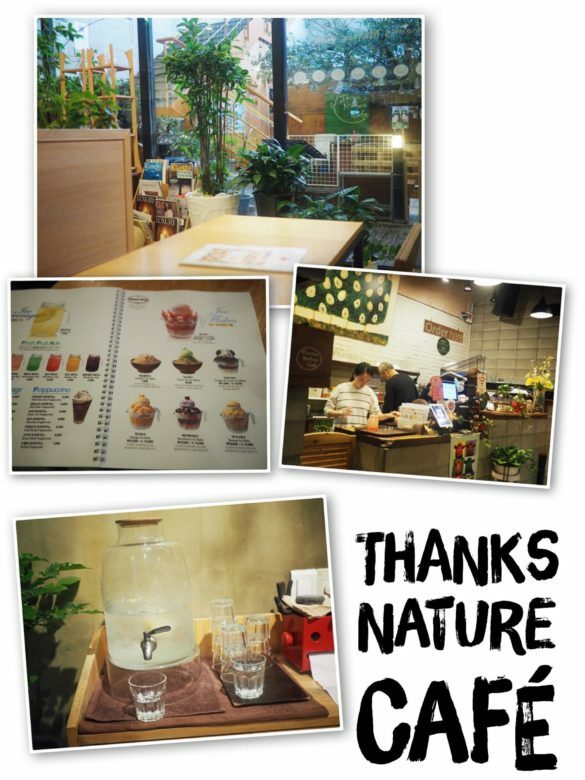 I think the Nature Cafe is so cool, I’d love to visit someday. I’m sorry you guys got caught up in the protests, I’m sure that was so overwhelming, 2hrs to navigate?! Omg! We’ve had so many protests and riots here in NY because of all the violence that’s taken place in 2016, so I’m hoping this year will be a lot more peaceful and that we won’t have any mass crimes, injustice, and dangerous protests. Thanks so much for sharing, beauty, and I hope you have a wonderful weekend ahead! I am going to have to bookmark this post as I would so love to go one day!! The food looks so fun! Thank you for sharing this and your tips! I wouldn’t know where to start! I love your vlog, it looks like you had an absolutely fabulous trip! This post made me hungry! I love how you broke down all the amazing food options! 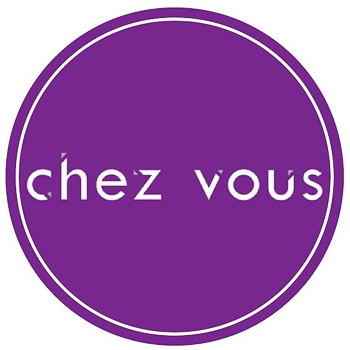 Such a good guide for someone visiting who might be unfamiliar with the cuisine. I’d definitely reference this post if I traveled there and needed food recommendations. I’m sorry you came down with a cold while you were there! I’m glad you were still able to enjoy the scenery despite it all. It sounds like everything was quite eventful for you!